Most science fiction television shows must create everything from the ground up. Sometimes, they get lucky and/or clever and use found objects as the basis for some fantastic props. While almost everything built for Star Trek: The Original Series was, of course, unique in some way, the production did pick up some everyday elements and modify them for the sets. One of the more creative examples can be found in the chairs on the Enterprise bridge. In the early 1960s, a furniture manufacturer in Dallas called Burke began producing a model of mod seating clearly influenced by Eero Saarinen's iconic Tulip chair. The curvy, plastic Tulip chair, launched in 1958, quickly became a hallmark of midcentury interior design. While the original Tulips had a round base, Burke chairs featured a four-sided, star-shaped base. Desilu productions snatched up some Burke chairs, models 115 and 116, and slapped triangles on the backs to make its 23rd-century furniture. 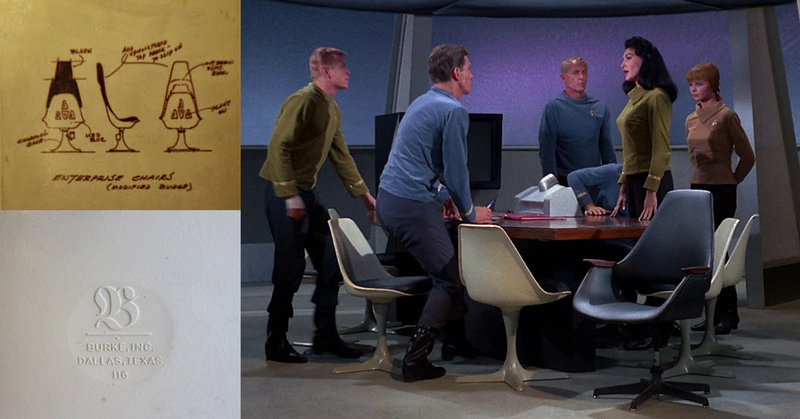 The initial sketches by Star Trek set designer Matt Jefferies called for four triangles on the back, but only three made it to the final product, in addition to an upholstered chair back. In addition, a spring-loaded swivel was added to the chair stem. The beauty of this is that you can now find these Burke chairs at yard sales or thrift shops for as little as $20. You can craft your own triangles, or purchase a set on eBay for about 25 bucks. The captain's chair is more of a challenge to recreate in your garage, though it has an equally common foundation. 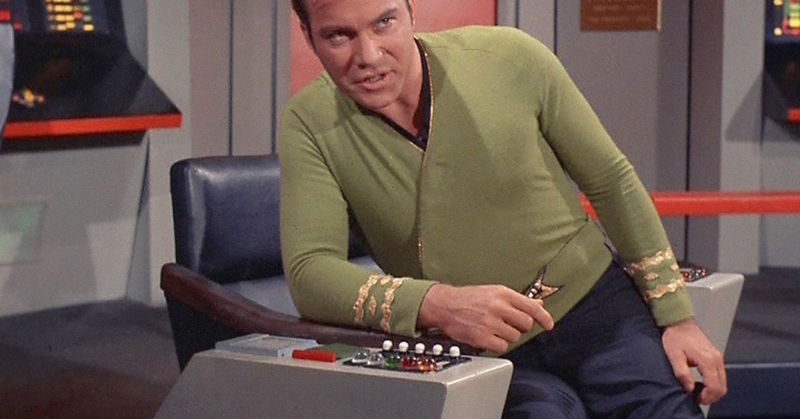 The core of Kirk's throne is an office reception chair manufactured by Madison. Arthur Umanoff designed the chair Madison Furniture Industries. Matt Jeffries added the two side control panels and pedestal, which can be a challenge to build on your own. Good luck finding the same Sixties-era radio speaker fabric used for the communications panel. That being said, these materials can be found in a thrift hunt. 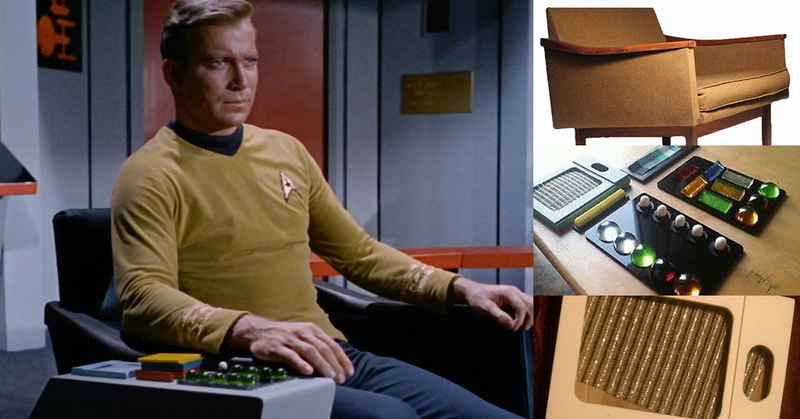 Over the years, many keen fans have tracked down the two original designer chairs to construct their very own piece of the Enterprise.